The 2011 spending resolution being debated by members of the U.S. House of Representatives has drawn criticisms from civil society groups and government officials for proposing to significantly reduce the country’s budget for humanitarian assistance. H.R. 1, which is intended to fund U.S. government operations for the rest of fiscal 2011, slashes more than $100 billion from U.S. President Barack Obama’s 2011 budget request. The continuing resolution was prepared by the House Appropriations Committee and introduced by the committee’s chairman, Rep. Hal Rogers (R-Ky.) on Feb. 11. Among other cuts, the continuing resolution reduces funding for international food programs by up to 50 percent compared to 2010 levels. The State Department budget for refugees would be 40 percent less than the 2010 levels, while the International Disaster Assistance Fund would be reduced by 67 percent. These deep reductions would greatly affect U.S. leadership in the humanitarian field and could put millions of lives at risk of severe hunger and the lives of refugees in Iraq, Pakistan and other countries in jeopardy, some civil society members and U.S. government officials said, according to The Washington Post. “It represents an American policy retreat of historic proportions, with unprecedented and really devastating effects on our leadership in saving lives and preventing conflict,” the newspaper quotes Eric Schwartz, assistant secretary of state for refugees and migration. The continuing resolution needs to be passed by the Republican-controlled House and sent to the Senate for approval. Led by Obama’s Democratic Party, the Senate is not likely to support cuts at the level proposed in the House version. Obama has threatened to veto the spending bill if it undermines U.S. national security interests. 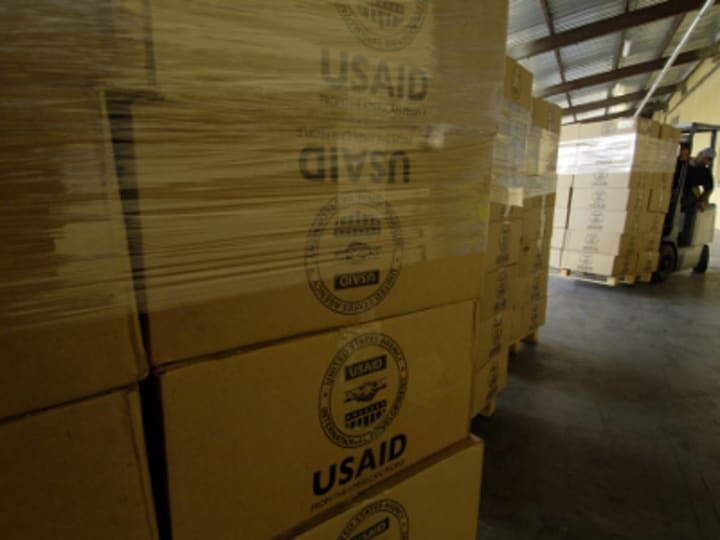 Aid advocates have rallied against the proposed cuts for overseas development projects, stressing that reducing international assistance does very little to curb U.S. national deficit, but compromises U.S. security interests. “[S]lashing international assistance does nothing to fix our huge national budget deficit and will only create more instability in fragile countries,” Ritu Sharma, cofounder and president of Women Thrive Worldwide, writes in The Hill. Michael Gerson, who covers African issues for the Post, argues along the same lines. “These cuts in discretionary spending, you know, are not the problem. You know, we don’t have a deficit crisis because we spend too much money on bed nets and AIDS drugs. We have a deficit crisis because we have entitlements, and aging population, and health cost inflation,” he told NPR News. U.S. foreign programs, according to Reps. Gerald Connolly (D-Va.) and Leonard Lance (R-N.J.), also help to create jobs and develop markets in the U.S.
“The international affairs budget does more than just keep our nation safe—it bolsters our economy by creating jobs here and developing markets for U.S. goods and services overseas. It makes sense: effective development brings stability, economic development and a demand for goods and services,” they write in a joint opinion piece published in Politico. Rep. Steve Rothman (D-N.J.) has also made a case against reducing the U.S. foreign aid budget. “Cutting foreign aid will not right our struggling economy, but will ultimately cost us more in U.S. lives and taxpayer dollars. It will surely cause direct and substantial harm to America’s national security,” Rothman, a member of House Appropriations subcommittees on defense and state and foreign operations, says in an op-ed in The Hill. Aid groups World Vision and amfAR, the Foundation for AIDS Research, warned that aid cuts would reverse the gains made in global health and development initiatives. “These cuts represent modest overall savings compared with other areas of the national budget and would cripple America’s ability to carry out its foreign policy objectives through humanitarian and development assistance,” said Adam Taylor, vice president of advocacy for World Vision in the U.S.
Read more news about U.S. development aid.